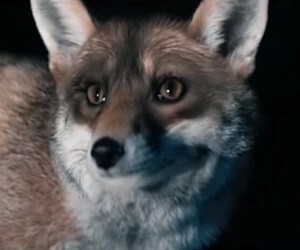 The latest commercial for Vauxhall IntelliLux LED Matrix Headlights starts with a fox that is almost hit on the street by a car at night. She is lucky, though, because the vehicle stops in time, without putting in danger her life. The narrator says: “Yes, it’s got super bright LED matrix headlights that see up to 40 meters further. Yes, they adjust automatically to oncoming traffic, so night driving has never been safer. Yes, it’s a new Astra”.